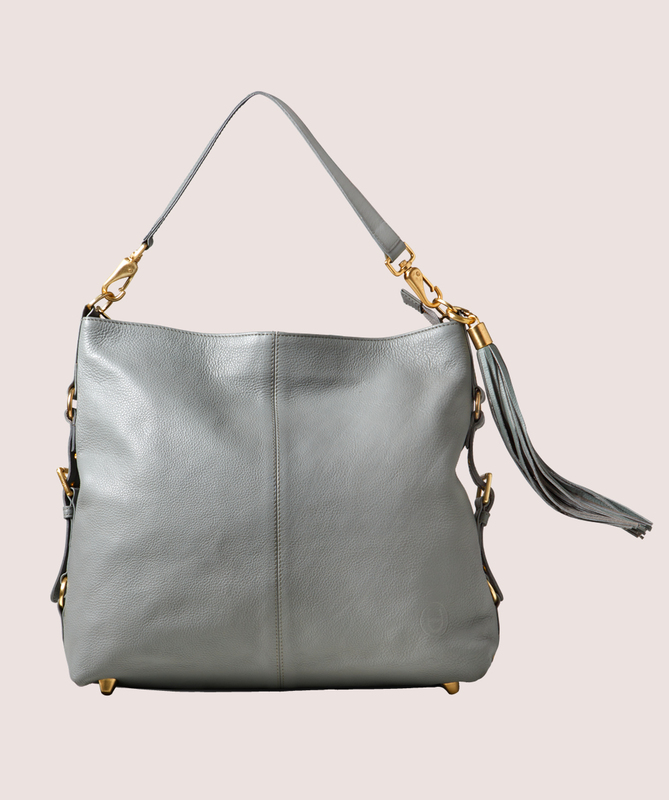 A beautiful, slouchy spacious tote bag, in soft grain grey leather – perfect for the lighter mood of Spring. 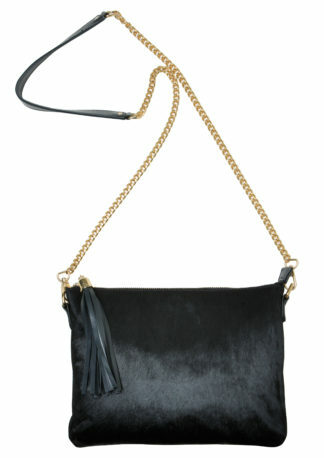 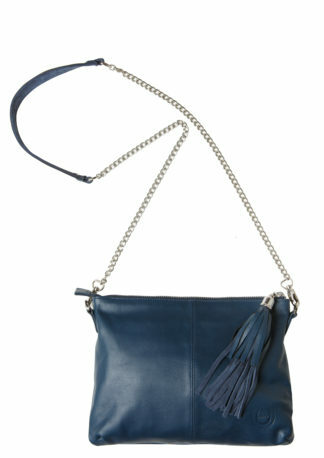 The bag has a zip- top closure with a luxe leather tassel. 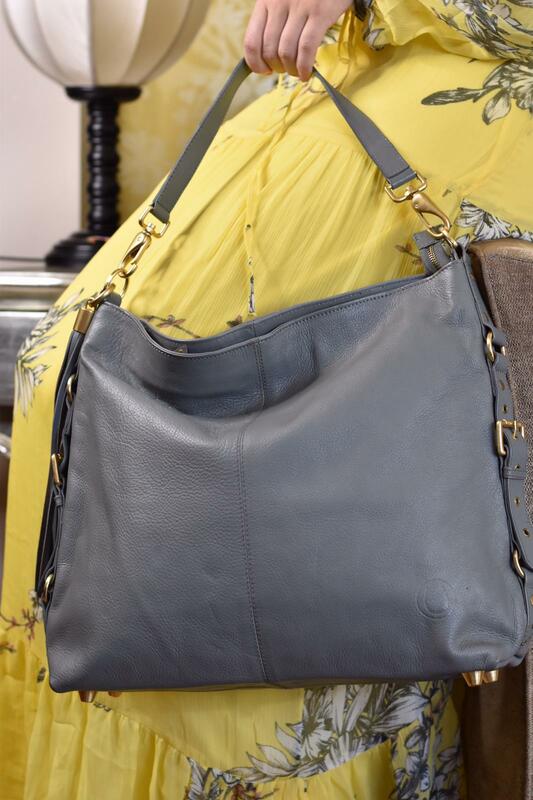 With brushed gold hardware and feet on the base, giving extra protection. 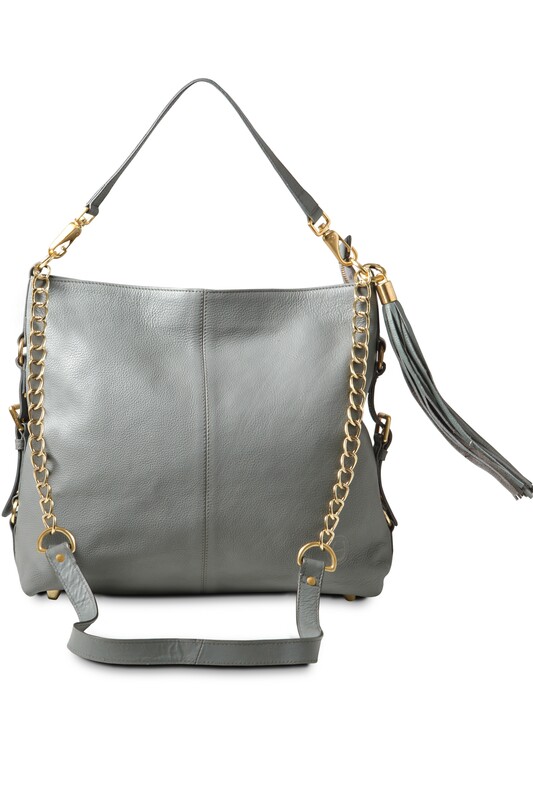 It’s a really versatile piece, featuring three detachable straps. 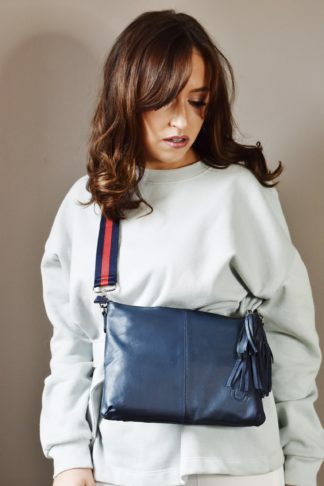 The Leopard Slouch hobo bag can be worn for a City vibe with the short shoulder strap, the cross -body chain strap for a cool hands free look, or for maximum impact use the leopard printed adjustable webbing strap. 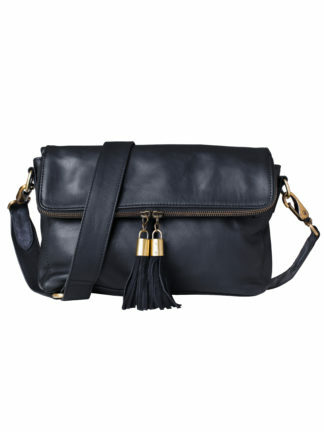 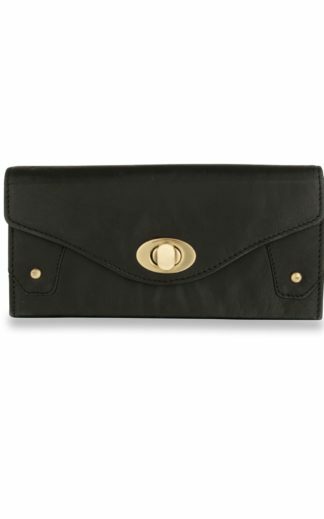 Fully lined with leather trimmed internal zipped and phone pockets.